Dasharath Oulkar earned his Ph.D. in Agrochemicals and Pest Management from Shivaji University, Kolhapur, India. 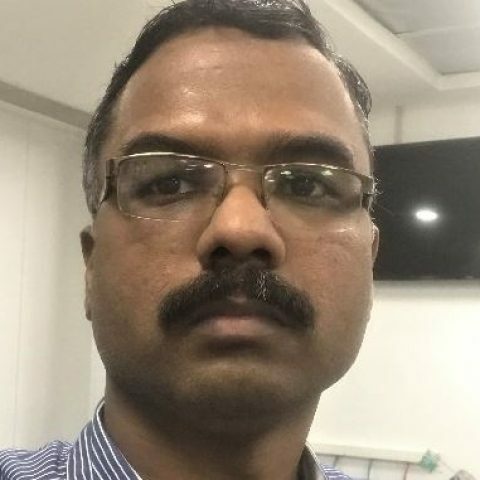 He joined Thermo Fisher Scientific in August 2018 as a Manager for the Customer Solution Center for Food and Beverage, located at Ghaziabad, India. In the past, he worked in the National Referral Laboratory for more than 14 years in method development and validations for contaminants in plant origin products by use of chromatography and mass spectrometry techniques. In his carrier, he has published 60+ research articles (pesticide residues, aflatoxins, natural products like polyphenols, amino acids, organic acids, sugars). He has strong experience in using very high-end analytical technology (QQQ, QTOFMS, and Orbitrap) for food safety, quality, and authenticity. Additionally, he has developed methods for the official control (exports) for fruits, vegetables, cereals, peanuts, and processed products. Dr. Oulkar has also collaborated with the U.S. FDA on pesticide residues (targeted/non-targeted) method development. He has worked closely on the implementation of EU -CITD (capacity building initiative for trade development) & SARAF programs for harmonization of pesticide residue analysis methods, and has been actively involved in conducting proficiency testing for fruits and vegetables for the last 12 years. Dr. Oulkar supports the customer training at the CSC India lab, as well as onsite training at the FDA set lab in India.